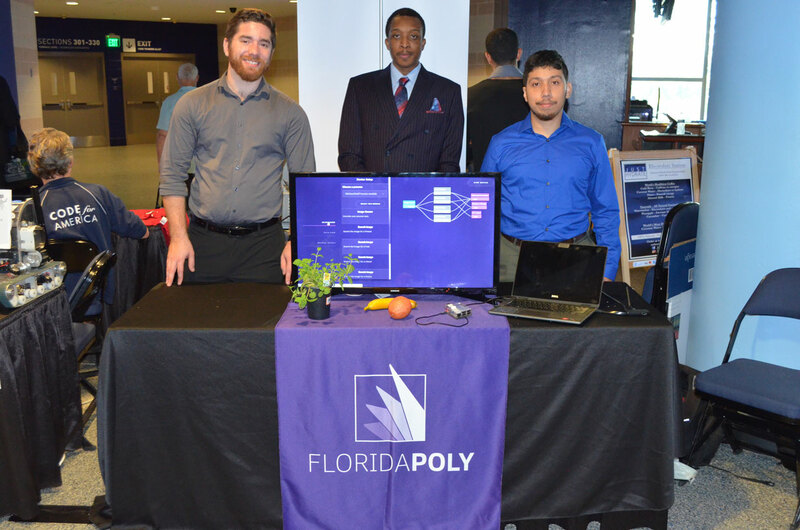 Josiah Hunsinger ’18, left, and Randy Lopez, a Florida Polytechnic University senior, showed off Logentix at the 2019 Synapse Summit, Jan. 23-24, at Amalie Arena in Tampa, Florida. 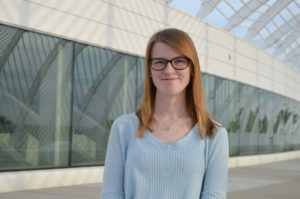 Florida Polytechnic University students and alumni were among more than 5,000 who converged on Amalie Arena in Tampa, Florida, this week for the 2019 Synapse Summit. The annual conference is aimed at bringing together organizations and people from around the state who are driving innovation and accelerating success. 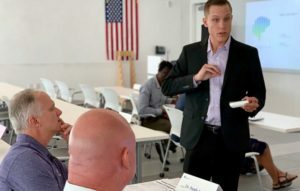 Florida Poly sponsored the event, which included hundreds of companies showing off the latest in high-tech technology created right here in the state of Florida. 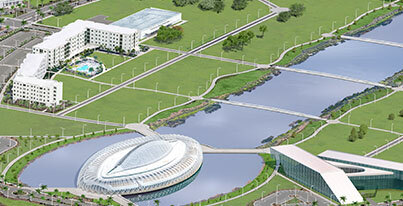 Florida Polytechnic University was one of the sponsors of the 2019 Synapse Summit, held Jan. 23-24, at Amalie Arena in Tampa, Florida. One of those companies was Logentix, which was founded two years ago by Florida Poly senior Randy Lopez. The computer engineering major and chief executive officer of Logentix said the company’s focus has evolved into one that provides clients with a management platform to maximize efficiency and profitability related to transportation. For example, it could be used in the food service industry to reduce delivery times. 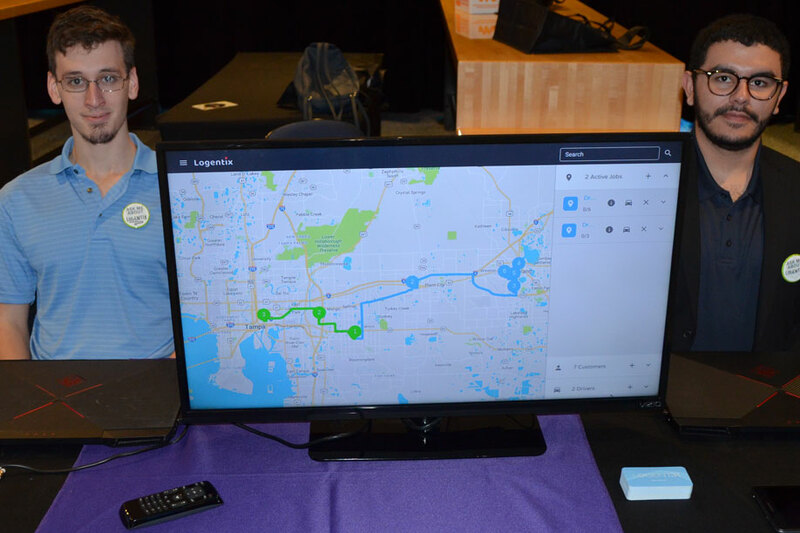 “It takes and it dispatches all of the jobs and stops needed automatically and creates the routes for each driver without them having to worry about which stop to go to next,” he said. Lopez said Logentix just completed its Beta phase where he said the company was able to validate its product. Lopez admits it’s been challenging to be a full-time student and a business owner, but says he wouldn’t change a thing. 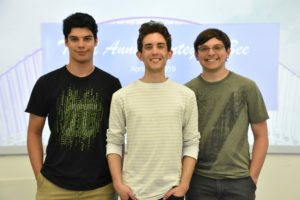 Logentix has three employees, including Josiah Hunsinger, who graduated in 2018 with a degree in electrical engineering. Hunsinger serves as the company’s chief information officer. 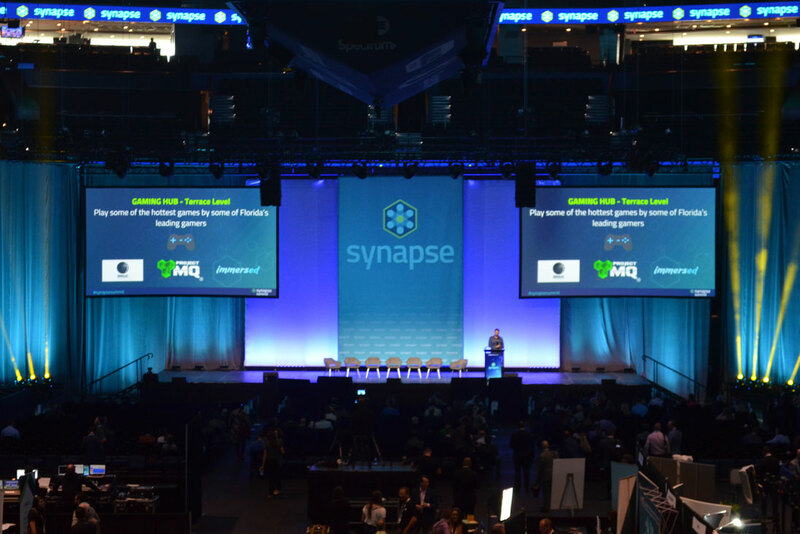 The Synapse Summit draws entrepreneurs, inventors, investors, corporations, and educational institutions. Augmented reality and virtual reality (AR/VR), robotics, artificial intelligence, machine learning, and 3D printing were just some of the many advanced technologies and industries featured.